This title is available in braille, large print or on DAISY audio CD by contacting Torch Trust's Client Services team on 01858 438260. Combining careful exposition and practical application out of an experienced pastor's heart, this challenging book brings the text alive with penetrating parallels to our contemporary context. Unsettling and liberating in equal measure, its message deserves to be read and pondered by every church leader and member. Above all, its central focus is consistently on the gospel and on the Lord Jesus Christ himself, the head of his church, who is the only answer to our current predicaments. I warmly commend it. Every church in every age needs to hear the voice of Jesus speaking to it. In these seven letters in Revelation there is encouragement, challenge, rebuke and exhortation—all from the lips of Jesus himself. 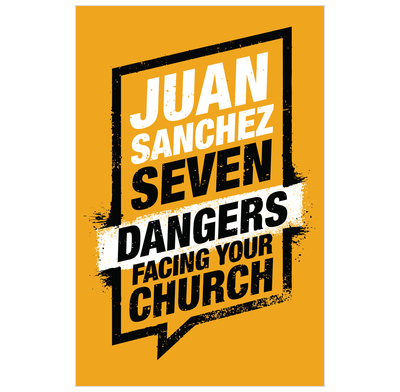 Juan has done a great job of making the voice of our ascended Saviour and Master clear, vibrant and relevant for the age in which we live. May God give us ears to hear what the Spirit is saying to the church!